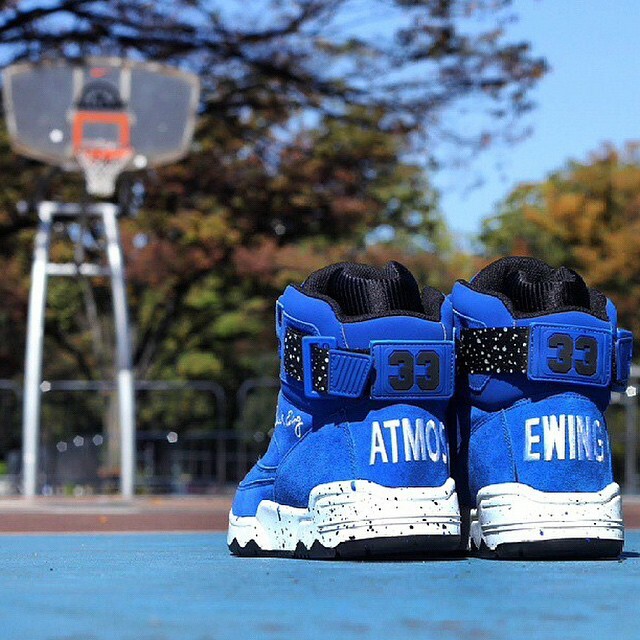 Japan’s Atmos and Ewing Athletics will be collaborating on the classic 33 Hi. 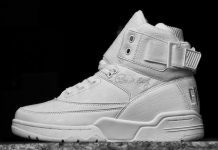 The teaser shows the OG silhouette sporting a Blue Suede upper, Atmos on the left heel and Ewing on the right heel, with speckles on the strap and midsole. 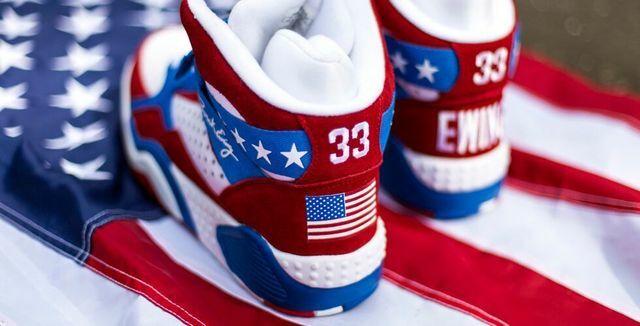 These beauties will be one of many upcoming Ewing Athletics collaborations to come. Let us know if you like what you see so far. Thanks @Lunny7 for sharing.